This morning we went to church, then went to lunch. 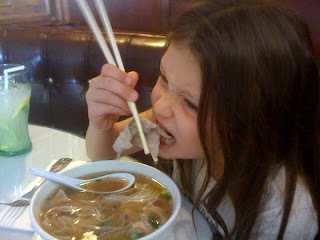 Here a picture of little Emmalie eating pho. We went to a place in South Denver. I love "family day!"